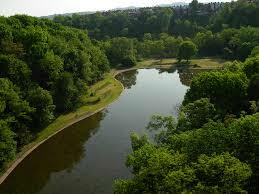 Everything you need to know about composting on Pitt’s campus! 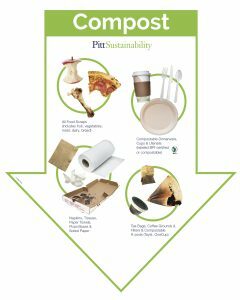 You CAN divert your compostables on campus! 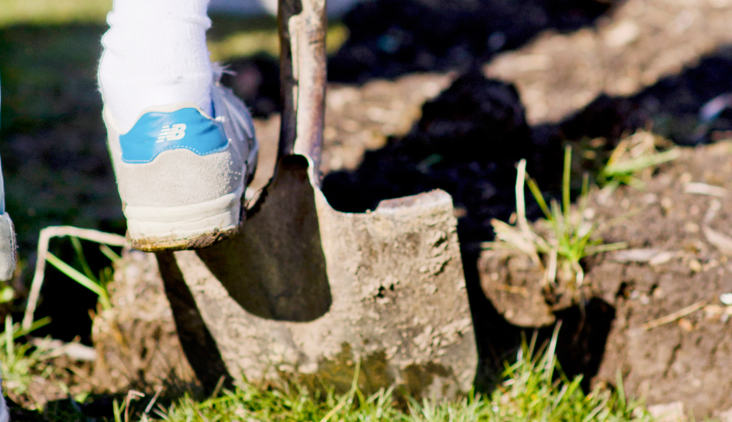 Composting uses natural decomposition to turn organic waste into nutrient-rich fertilizer for gardening. 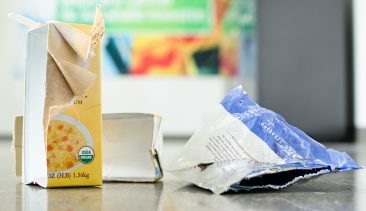 Pitt sends its compostables to an industrial compost facility. 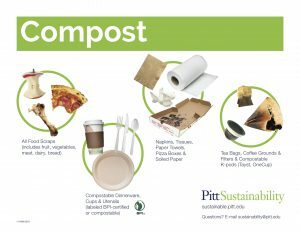 Pitt compost stations accept dairy products, meat, bones, bread and pastries, fruits, vegetables- (any food stuff) even those not commonly accepted in backyard compost. Food waste of any kind! 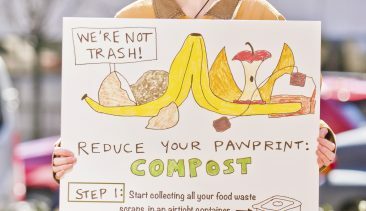 Campus-wide Compost signage is now available for your use! Click on an image below to download! While there are currently limited locations on campus that collect compostables on a regular basis, we are actively working to scale up campus-wide Compost collection locations.